On March 25, the general law committee passed house bill HB 7371, moving Connecticut one step closer to legalizing recreational marijuana. Although the bill is comprehensive, there is something strikingly absent: limits on the amount of THC in commercial products, including marijuana edibles. Connecticut has taken its time to put legalization on the table. This should put us at an advantage. We can look at the effects of legalization in other states and avoid the mistakes officials in these states were later forced to address. We can consult the research on the public health impact legalization has had in other states, and then propose measures to minimize these impacts in Connecticut. A big problem of legalization in other states has been the public health impact of highly potent marijuana sold in edible and marijuana-infused products. Edibles are popular among consumers in states like Colorado, where 45 percent of sales in the first year of commercialization came from the purchase of marijuana-infused goods. These products have great market value, but carry risks to consumers that don’t arise when marijuana is smoked from a bong, joint, or pipe. These products have led to increases in emergency-department visits, more teens seeking treatment for marijuana dependency, and a few cases of highly publicized fatalities. How can these consequences be avoided? Regulations on how much THC can be in marijuana-infused products sold on the market. These types of regulations aren’t unheard of. In fact, our neighboring state of Massachusetts restricts the sale of edible marijuana products exceeding certain limits of active THC. THC in edible products must also be evenly distributed throughout. These limits were likely in response to advice Massachusetts received from Colorado health officials in the fall of 2016. The inspections director at Denver’s Department of Public Health told Massachusetts regulators to “take a more incremental approach than Colorado did in approving the sales of different types of marijuana products,” citing the challenges of dealing with the potential hazards of edible marijuana products. Colorado established a 100mg THC limit in edible products after commercialization to respond to controversial incidents of overconsumption and concerns about the increasing potency of marijuana. Washington, another one of the first states to legalize marijuana recreationally, also limits the amount of THC within an edible product to 100mg. Oregon has an even stricter limit of 50mg of THC in edible products. These regulations are direct responses to the potential dangers of edible marijuana products that have come to light since the commercialization of marijuana began in U.S. states like Colorado and Washington.These highly potent products have been implicated in cases of acute marijuana intoxication and over-intoxication and, in highly publicized cases, even fatalities. 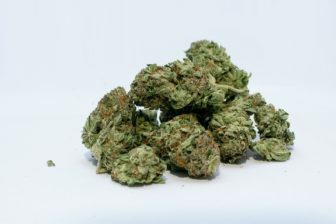 Marijuana-related ER visits, which have been on the rise in states like Colorado and Washington since commercialization began, often involve acute intoxication with individuals presenting with symptoms including cyclic vomiting or racing heart-rate, mood-related reactions, panic attacks, severe anxiety, and psychotic-like symptoms. Although overconsumption normally doesn’t result in fatalities, a highly publicized case in Denver, Colorado serves as an example of the worst possible outcome. In March 2016, a 19-year old tourist died in the city after jumping off a balcony. An autopsy revealed overconsumption of an edible marijuana product was a contributing factor in his death. Edible marijuana products, with all their potential dangers, are also a hit with teens. They’re inconspicuous, allowing teens to consume the substance without carrying any drug paraphernalia with them. A report released in 2016 by officials in Washington reported Seattle Public Schools confiscated a significant range of marijuana infused-edible products containing high doses of THC in the 2014-2015 school year. They also reported incidents where students experienced symptoms of over-intoxication at school after they’d consumed marijuana edibles. Highly potent marijuana products raise concerns about addiction, too. According to substance abuse treatment providers in Colorado, more teens are entering treatment for marijuana abuse and dependence since marijuana began being sold recreationally. The teens they are encountering are also harder to treat, and providers are blaming access to novel, highly potent THC products like edibles. They explain teens using these products are entering treatment with greater tolerance levels that are progressing faster, and this is making their conditions harder and more time-consuming to treat. It’s hard to put rigorous regulations on retail marijuana products if Federal law continues to categorize marijuana as a Schedule I substance. It leaves regulation of the marijuana industry entirely up to states, and Connecticut will likely soon be in the position to decide what limits it will place on the marijuana industry. It would be in the interest of the public and the state to consider putting regulations on the amount of THC in retail marijuana products before putting a bill on the governor’s desk to sign. Higher potency products may have good market value and bring in greater revenue, but we can’t ignore the lessons learned by officials in other states who have been forced to grapple with the unforeseen consequences. Regulations on the amount of marijuana allowed in edible products may save Connecticut money in the long-run that could be otherwise spent on treatment for marijuana dependency, medical treatment for marijuana-related incidents, and additional public health consequences of consumption of highly potent products. If Connecticut is finally going to do this, they ought to take every step now to make sure they do it right. Paige Marut is a research assistant at Yale University.